Nikolai Lobachevsky was a Russian mathematician who was one of the pioneers of non-Euclidean geometry. He developed, independently of János Bolyai, the self-consistent system of hyperbolic geometry in which Euclid's parallel postulate is replaced by one allowing more than one parallel through the fixed point. 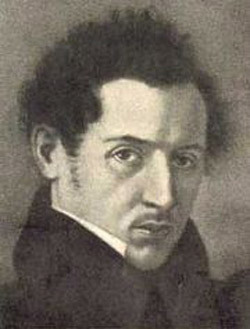 Lobachevsky first announced his system in 1826 and subsequently wrote several expositions of it, including Geometrical Researches on the Theory of Parallels (originally published in 1840 in German). Lobachevsky studied and taught at the new University of Kazan and eventually became rector of this institution in 1826. However, for some reason, despite serving his country and university well, he fell from favor and in 1846 was relieved by the government of his posts as professor and rector.